My new thinking for the New Year? I am thinking like a lion! Can there be anything more magnificent than a full grown lion? I was feeling reflective and thought "I must snap out of this" so I decided to watch Christian the lion on youtube for the umpteenth time and yes, that did the trick. I like the clip of their last encounter it is more subdued, Christian is very much an adult and yet the gentleness that still exists between them is extraordinary. 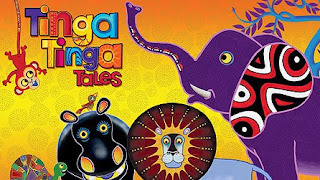 Unsurprisingly I suppose that got me thinking about Born Free and the amazing story of Elsa! Lovely film do watch it! 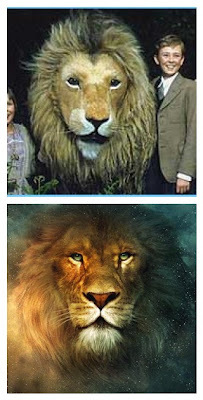 And so it followed that my thoughts turned to Narnia and THE LION as far as I am concerned. 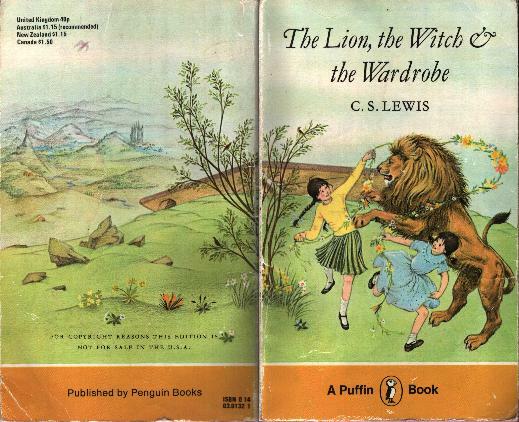 Pauline Baynes beautifully illustrated the CS Lewis Tales of Narnia. The Narnia of my imagination will always be hers...those iconic drawings of Narnian ships and Narnian horses. She was brilliant at realising maps too (another little obsession!) not only did she map Narnia but also Middle Earth, Tolkein was said to have been delighted by her work. So wise, so courageous I adored him - I was hooked on the 1980's BBC adaptation when I was a girl. Ronald Pickup voiced him - marvelous! 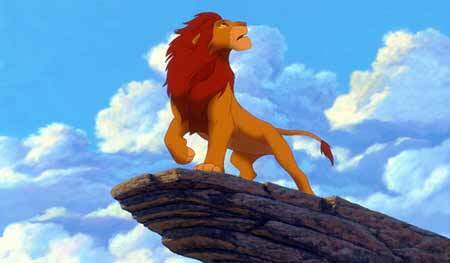 The Lion King came much later but deserves a mention for the astonishing achievement of the West End Show. A brilliantly vibrant affair inspired by traditional African animal folkstories, if you have little people you are probably already hooked! 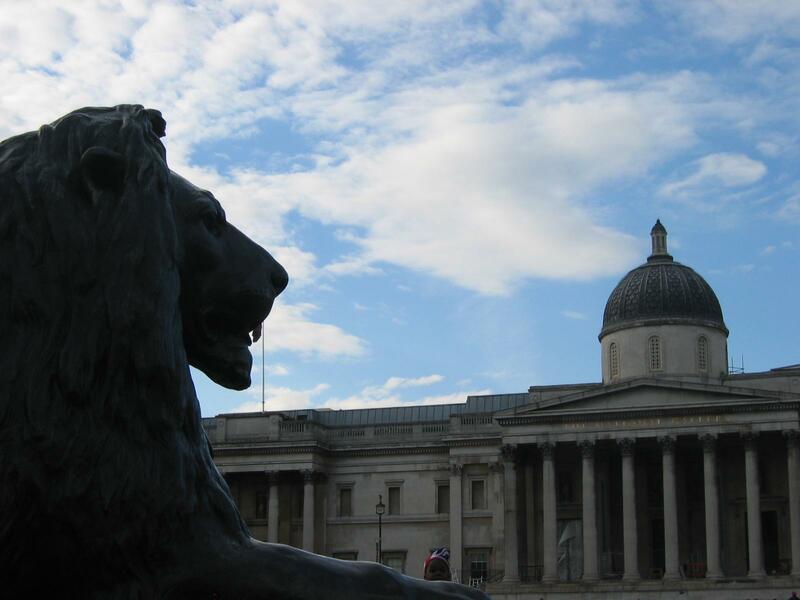 A powerful chidhood memory is driving through London at midnight in a battered 2CV to "see the sights" It was magical, nobody around and London all lit up, we whizzed past Buckingham Palace down the Mall and out of Admiralty Arch to see Admiral Lord Nelson high on his column. I'm afraid he was lost on me as my heart belonged to the four lions proudly surrounding him. It must be amazing to be asked to wear the Three Lions emblem and to represent your country. 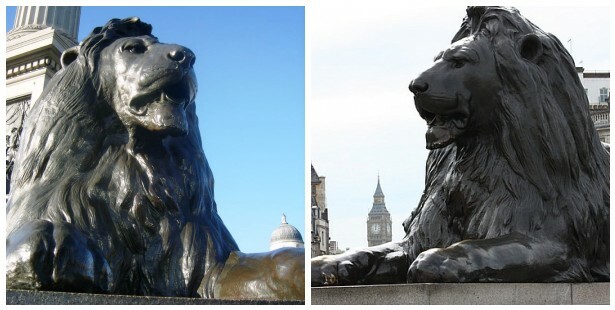 The three lions are currently emblazoned across the England cricket team. Alsitair Cook has had an amazing Ashes series! One final push tonight boys ~ 3 wickets to go! I am including this final piece of cheese for your consumption, featuring a marvelously camp performance from Ian Botham, the Sky advert for the Ashes series Ridley Scott style, careful not to spit your tea out! Hello and Happy new Year to you! Whenever I watch the footage of Christian the lion it makes me cry, I mean proper full on blubbing! Every- single-time! You know, I have been here, I have, I have! I don't see that I've left any comments, though! =( It's probably because, lately, I've been so extremely tired and dull - sorry. HOWEVER, what I really want to say is that you just hit the spot. You know, the happy, oooooooh, just perfect, MAGIC spot! Yes, visiting you DOES have an air of Narnia about it! Thank you so very, very much for your posts. They remind me of what's so special and wonderful in life when I'm dull! 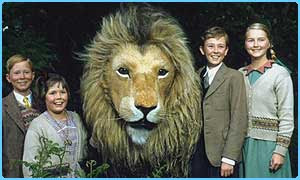 Love your veritable Pride of Lions, and theres also "the very friendly lion called parsley" from The Herbs! Damn cricket is making it very hard to get my 15 year old son in bed at a reasonable time! I'm sure he sneaks back out of bed to watch it as soon as I drop off (which is as soon as my head hits the pillow). He claims he can hear me snoring from his room, so he knows he;s safe! Hello SJDTL.. and a very Happy New Year to you. When I was a younger lass in the 1970's I had a book called 'A Lion Called Christian' about two men who bought a lion cub from Harrods and bought it up in the UK. They eventually released it into the wild and if you look for the name on YouTube you will see the film footage of their farewell and their reunion with Christian the fully grown lion. It is one of the most moving stories of an animal I have ever read. Hope this year is a happy one for you. Now that is very very spooky.. I literally just posted you a comment and returned to my blog to find you had left me one at the same time! Now tell me what has been going on? I must read your blog to find out more.. Hope life is on the up!? Oh deary dear he's no Russell Crowe is he! He ought to stick to shredded wheat ads. I loved the 1980's Narnia and I love Liam Neeson's Aslan in the recent Narnia films. Happy New year hope all is well with you. Sorry to bother you again Sarah.. this is the clip to watch.. it is both joyful and heartbreaking. Hi Sarah, I am a new "follower". I also LOVE the DVD "Born Free" and I also have the DVD of the two young men who adopted Christian and their lives in London. Good luck to the English side..All the best, Ann ~ Australia (NO, I am not a cricket supporter) LOL. A cricket supporter I am glad I am not the only one that tells everyone to shush when the cricket score comes on in the morning!! Have missed you dreadfully and was hoping your heating was working and you were tucked up all warm and snug- or out trudging with Mr B and Mr L through a snowy landscape. Christian reduces me to blubber as well. i am not sure you will recognise me as millie meadowsweet, but you may just possibly remember me from my previous incarnation as skipping in the meadow. yes, i'm back! this time for for keeps (i hope) and its so lovely to see you this new year. absolutely adored your lion post! Oh yes hasn't the cricket been completely brilliant! So lovely to have your name pop up in my read again! Happy New Year wishes to you! I love that phrase 'think like a lion', it makes me want to go 'rar' but that is probably from spending too much time with nieces and nephews recently! Wishing you the very best for your year as a lion! Happy 2011! You have just made my morning with your comment on my post so a huge thank you! From a little googling I am rather flattered to be mistaken for a talented journalist such as her!